> Why Every Man Needs To Start Eating More Egg Yolks? Why Every Man Needs To Start Eating More Egg Yolks? Death to egg white omelettes! They taste terrible and, by opting out of the yolks, you’re depriving yourself of essential nutrients. And don’t worry about the cholesterol. “Cutting dietary cholesterol is almost irrelevant when it comes to promoting healthy blood cholesterol levels and heart health,” says Donald K. Layman, Ph.D., professor emeritus of food science and human nutrition at the University of Illinois. For decades, much of what experts knew about preventing heart disease came from the 1940s Framingham study, which linked high blood cholesterol levels to a higher risk of heart disease and heart attack. Dietary cholesterol barely moves the blood cholesterol needle – except in people who have problems metabolizing dietary cholesterol, says Patricia Vassallo, M.D., cardiologist at Northwestern Memorial Hospital. To improve your blood cholesterol levels naturally, you should stop eating trans fats, eat more omega-3 fatty acids, and chow on more fiber, according to Mayo Clinic. Unfortunately for egg-lovers, it wasn’t until 2015 that U.S. Dietary Guidelines nixed its longstanding recommendation to cut cholesterol intake. If you’re healthy, you don’t have to eat cholesterol. That’s because your liver is ready to make up for any cholesterol deficiencies in your diet. But there’s no real reason not to – especially when it comes to egg yolks. After all, eggs are the No. 1 bioavailable source of protein, meaning that your body can absorb and use their protein better than it can absorb and use protein from any other food, says Kate Patton, R.D., a registered dietitian with the Cleveland Clinic Heart & Vascular Institute. Meanwhile, research from the University of Surrey shows that eggs have one of the lowest energy-to-nutrient density ratios of any food, period. 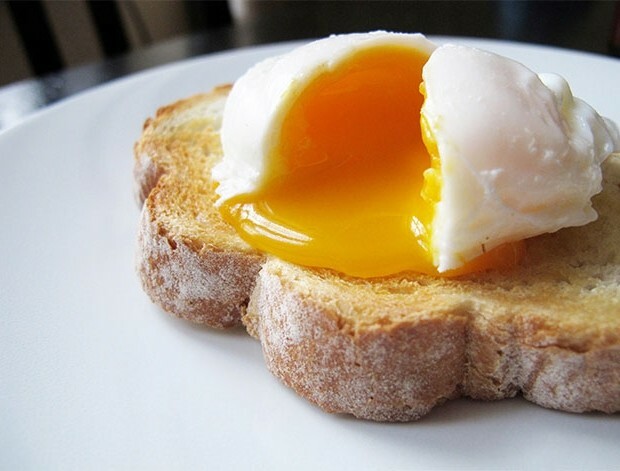 Egg yolks in particular are rich in phosphorus, zinc, and B vitamins, choline, and antioxidants. Combined, all of those nutrients mean better energy, less inflammation, easier weight loss, more muscle, and a smarter brain. In fact, in a 2015 American Heart Journal study of people who already had coronary artery disease, eating even three eggs a day was okay.